It's been a while since Yours Truly KJS and elobeatlesforever (elobf) checked out local Blues starlet Rebecca Downes so a date in our mutual hometown at The Slade Rooms in Wolverhampton on Friday 18th May was not to be missed, especially when there was also the opportunity to see elobf recommended artiste Abi K perform again too. Fresh from a successful stint supporting legendary Midlands rockers Magnum, Bekah and her highly rated band were joined by Tara Simms on the night. From first note to last chord, the sextet delivered an impressive if not storming set of seventeen songs including new tunes "If I Go To Sleep" and "Take Me Higher" alongside the more familiar "1,000 Years", "Night Train", "Sailing On A Pool Of Tears" and "Believe" not forgetting another amazing rendition of "With A Little Help From My Friends". 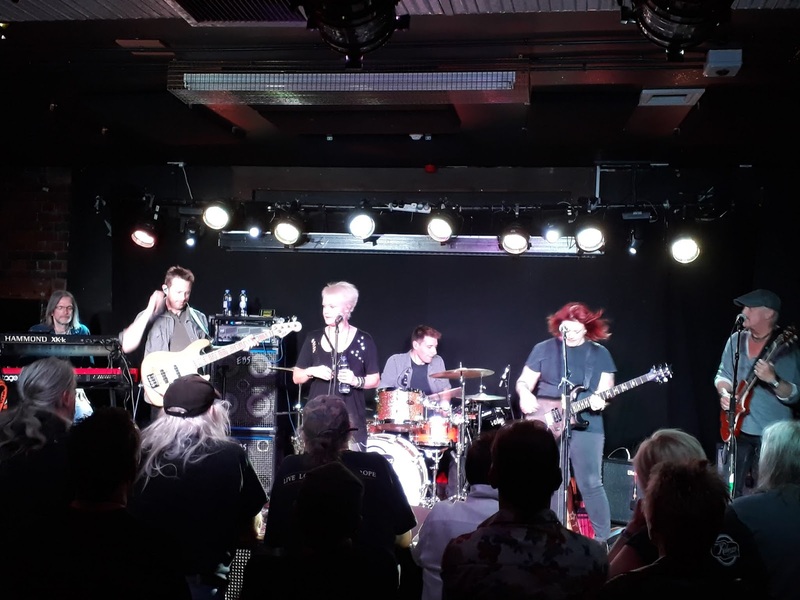 Rebecca, her lieutenant Steve Birkett and her superb band go from strength to strength so it was perhaps not a surprise to find out within 24 hours that she had been voted Female Vocalist of the Year in the UK Blues Awards 2018. A well deserved accolade indeed! A mention beckons too for Abi K, the multi-talented daughter of renowned guitarist Tony Kelsey, who delighted this writer and her audience with a majestic nine song set of bluesy jazz numbers including "Bitterweet", "Grandma's Hands" and "Proverbial Gutter" alongside pianist Paul Simon Nkosilathi Riley, whose velvety, lush vocals - so reminiscent of Etta James - are indeed worthy of a much larger stage. 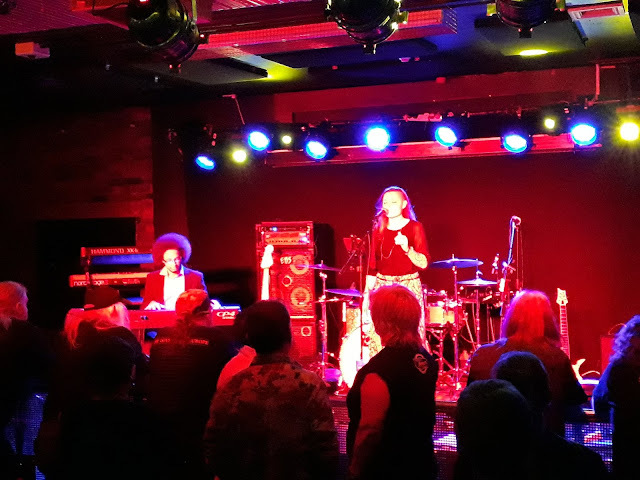 elobeatlesforever (elobf) recommends Rebecca Downes and Abi K to those enlightened folks who enjoy the music of ELO, Jeff Lynne, Roy Wood, The Move, The Idle Race, 'Brum Beat', The Beatles and related artistes.